Aramis Ayala, the first Black woman state attorney in Florida history, just made a heroic move by refusing to seek the death penalty. 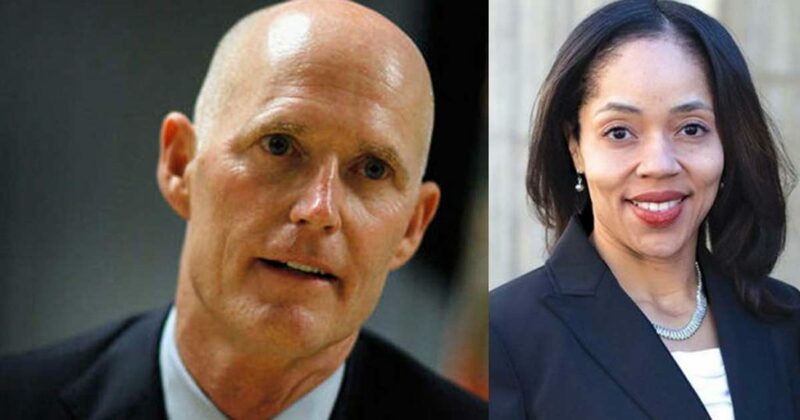 Florida Governor Rick Scott removed her from a key case and instead choose a white prosecutor to replace her. Even the victim’s family is in support of Ayala’s decision to not pursue the death penalty. This is about more than the death penalty. Black communities and our allies have built a movement over the last year to replace the worst prosecutors with leaders who want to change the system from the inside out-- like Aramis Ayala and Kim Foxx in Chicago. Just like every other movement that has built power for Black people, this movement is being met by anti-Blackness, right wing resistance, and anti-democratic tactics intended to keep our communities trapped under the leadership of white conservatives. In November, Ayala ousted incumbent Jeff Ashton. She ran on a daring and progressive platform in which she championed dramatic changes to the criminal justice system that would shift the power and control from law enforcement to enhancing safety and well-being of community members. As State’s Attorney, Ayala understands that justice deserves to be in the hands of the people. By blatantly taking State’s Attorney Aramis Ayala off this crucial case, Governor Rick Scott is diminishing and undermining her position as a prosecutor. He is sending a scary and unfair message -- the voters’ choice in who they elect to serve real justice does not matter. Governor Scott must be stopped. As governor, you have a duty to respect the voice of the voters. Orange-Osceola State's Attorney Aramis Ayala was elected by the people. It is important that the pursuit of fair justice is honored and respected. Prosecutors play a critical role in making real progress toward criminal justice reform. Your decision to remove Ayala from an important case is unfair and careless. We call on you to reverse your decision and let the State's Attorney do her job. Real leadership means honoring the people who elect individuals to their job. You too are in an elected position.